Published by Killings, 23 April 2014. Original post. EMA by Erica M. Anderson. Erica M. Anderson’s recently released second solo album, The Future’s Void, has been for the most part well-received by critics—albeit with some caveats. 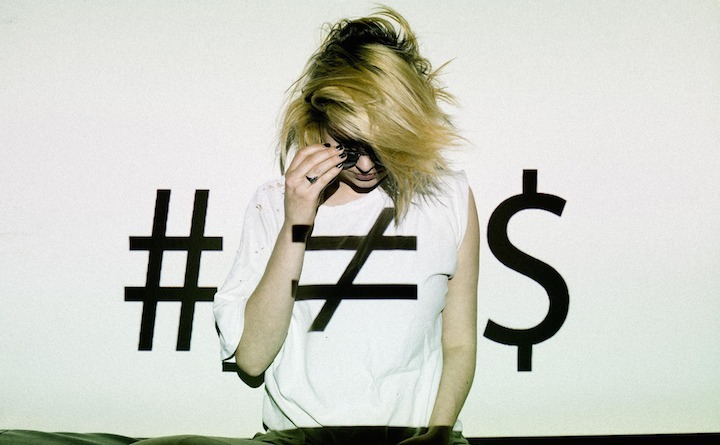 Most have praised the way she has maintained her songwriting identity despite shifting from the folk/blues/noise rock of her debut, Past Life Martyred Saints, to a 90s-influenced mélange of post-grunge and industrial pop (à la Nine Inch Nails). The bone of contention seems to be that The Future’s Void is understood as tackling a Big Theme—namely, our relationship to internet technologies—and is therefore pushing a Message, in contrast to the supposedly message-less Past Life Martyred Saints. Cover, EMA, The Future’s Void (2014). These reviews seem to make two assumptions about EMA’s work that might not be borne out by a close analysis. Firstly, that Past Life Martyred Saints is ‘confessional’, and secondly, that The Future’s Void is, by contrast, aiming to be an Important Album that speaks about Big Issues. While there is little doubt that Past Life Martyred Saints is based on the details of Anderson’s own life story—growing up in a midwestern ‘red state’, the angst of being alienated from all of the guns and bibles, the disappointment of discovering that life in cosmopolitan California is its own kind of purgatory—the aim of her music is not only confessional, but also to connect to her audience. Or, as she put it in a recent interview with the Quietus, “I just try and think of someone who might need to hear what I am saying. I will try and tell my story and perhaps someone will feel less ashamed to have similar feelings.” Such a sentiment might explain why so much of Past Life Martyred Saints oscillates between Anderson’s first person narration and a second person to whom many of the songs are addressed: it’s not just about her, it’s about all of us. In this light, The Future’s Void’s lyrical focus on the corrosive effects of technology isn’t a sudden shift from the confessional to Big Picture themes; rather, it’s an acknowledgement of how much digital technologies have become part of the fabric of our lives. There’s something weirdly schoolmarm-ish about music critics—all writing for online-only outlets, no less—upbraiding Anderson for using ‘interwebs’ in a song, as though the word has never escaped their lips in everyday conversation. By the same token, when Anderson does say something like “Makin a living off of takin selfies”, it doesn’t come off as an awkward attempt at topicality because the line, in context, is not about narcissism but rather about every individual’s accommodations with and resistance to power: “I know the way they pray and they blame / it’s been the same for ages and ages and ages.” The subject here is explicitly not some kind of techno-dystopian vision of digital narcissism but rather a more nuanced take on how digital technologies enable some terrible tendencies that have been with our species for a long time. 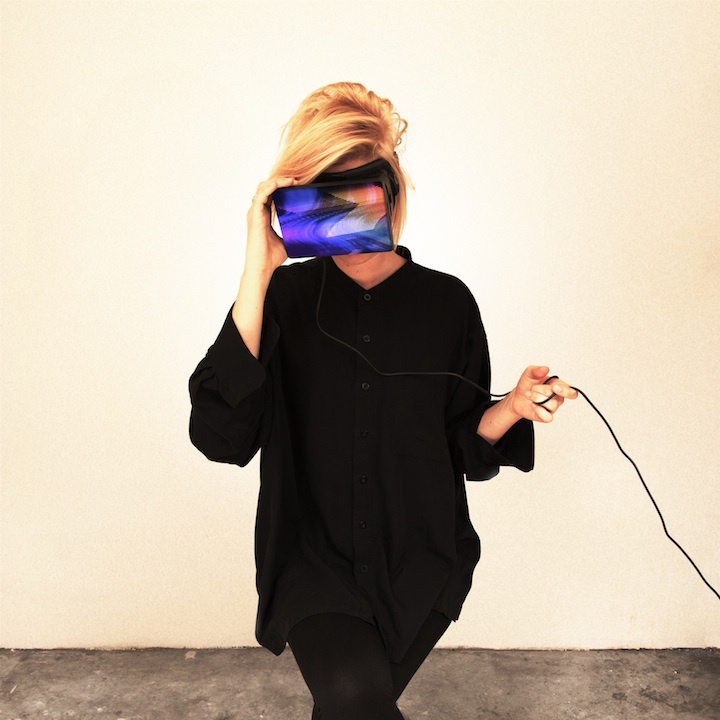 EMA, The Future’s Void (2014).